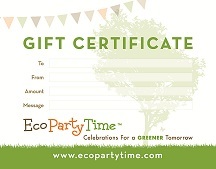 Over the past few years as Ecopartytime’s resident Green Event Expert, I have been amazed at how on-trend Ecopartytime keeps their green party inventory. 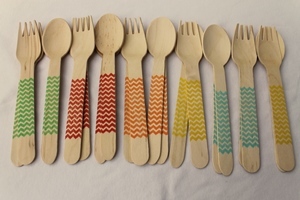 From mustache bash to rustic-chic, Ecopartytime’s inventory has you covered when it comes to earth-friendly and trendy party supplies, favors, and other green gifts. 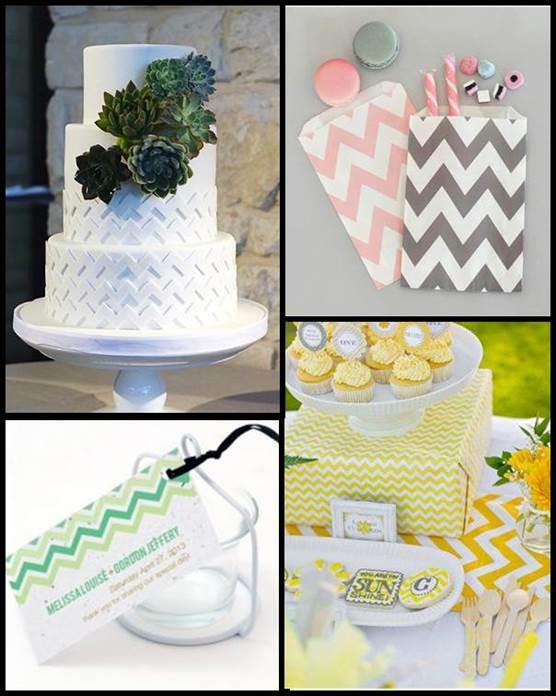 As a green wedding planner, one of my most requested themes in 2014 has been the chevron. 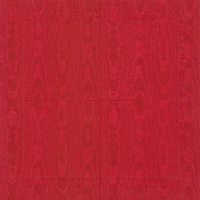 This hot little pattern has taken the wedding and event world by storm! 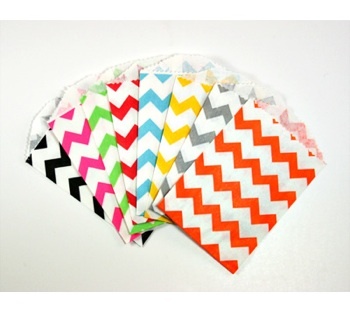 The chevron is definitely the new damask. Depending on what other design elements you pair it with, it can be preppy, vintage or whimsical. The chevron can play either the supporting role as a unique neutral or be the “Darling Diva” of your design. 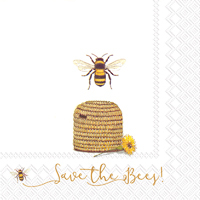 Ecopartytime offers many chevron patterned options for your earth-friendly wedding, shower, or engagement party including an eco-chic plantable invitation suite which includes the invite, rsvp card, placecard, and favor tags. This delightful set comes in multiple colors including pink, yellow, blue, green, & purple. And after your guests come and celebrate, they can go home and plant their invites and other paper products and grow flowers! Do you have your main color & theme set? 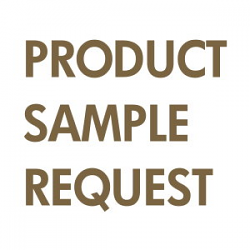 Are you just looking for a design style to compliment it? Instead of using a solid black, blue or gray as a neutral, consider using chevron to balance to balance and highlight your main design. Use black or navy blue chevron for dramatic and bold themes, gray for soft and sweet ones. One of my favorite chevron-enhanced themes is nautical icons like gold or silver vintage compasses & anchors matched with navy blue chevron. Another favorite theme of mine is a fresh cut lavender theme enhanced with gray chevron touches. On the other hand, if you want your chevron to be the star of your design, pick one or two of your favorite chevron colors and use those patterned colors in big ways, like table linens, backdrops, cake designs, invitations, candy buffets etc. 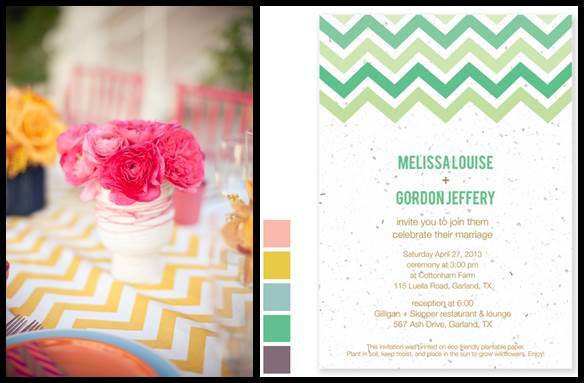 Your bold use of the chevron will really make your wedding details “POP!” in the eyes of your guests. 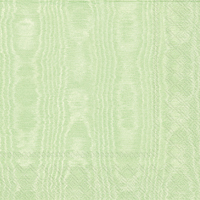 Green and yellow chevrons can make a fabulous citrus inspired wedding theme. Or you could invoke an “oooh la la” French theme with pink and black chevrons. So that’s my tips and tricks for making the perfect chevron wedding. 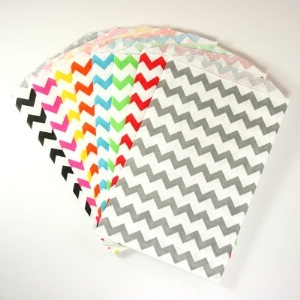 The amazing news is you can purchase all of your eco-chic chevron party supplies directly from the Ecopartytime website. You can buy eco-friendly chevron goodie bags, cupcake wrappers, & bamboo utensils to match your plantable wedding invitations and finish off your fabulous design by adding our striped straws & striped cotton string.